Note:Light shooting and different displays may cause the color of the item in the picture a little different from the real thing. The measurement allowed error is +/- 1-3 cm.Features:Double sided, 14 compartments to store your tackles. 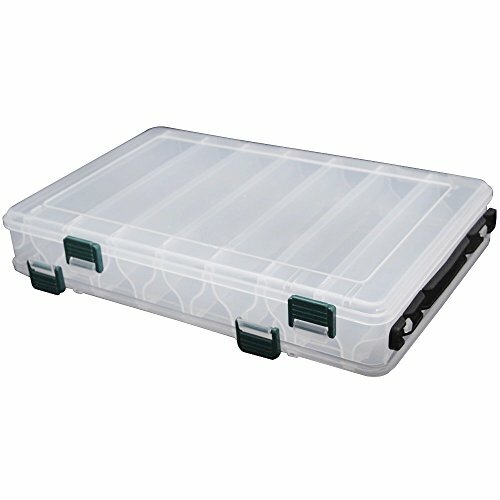 Easy-to-view case helps you find your fishing tackle at a glance. Durable construction, impact resistant and corrosion resistant. Drain holes to keep your tackles dry.